Marrying a person means giving yourself in to the person you trust and love so much. Uniting as one with that person means forgetting half of yourself and welcoming the challenges life gives you as a couple. Getting married is not as easy as moving out of a different place. It requires more than what you can give but the main ingredient is love, trust and loyalty. Because marriage is not just a ceremony but an official responsibility, one must consider all of its effects and consequences. And that is why there are people who do not just pop up the question easily. But we all know that having that marriage proposal is a very special event. The person who loves you so much and who chooses to stay with you forever even if marriages are tough is the same person who will ask you to marry him or her. And with that, marriage proposals are made to be more creative, fun and memorable. 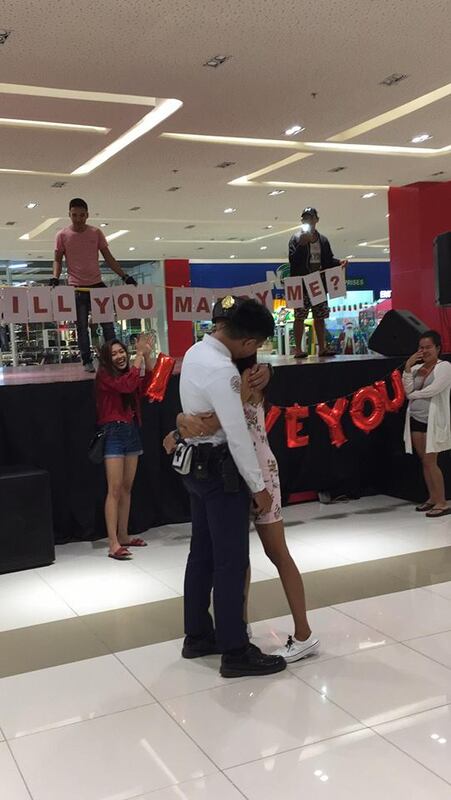 A wedding proposal posted by social media user Dexter Ryan Coro Suarez caught the attention of many internet users because of how unique this proposal is. 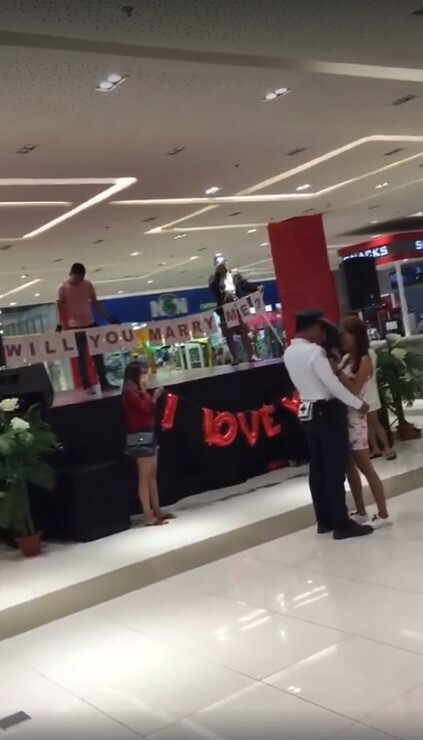 It caught the interest of Facebook users who felt the love and the devotion while watching the video. 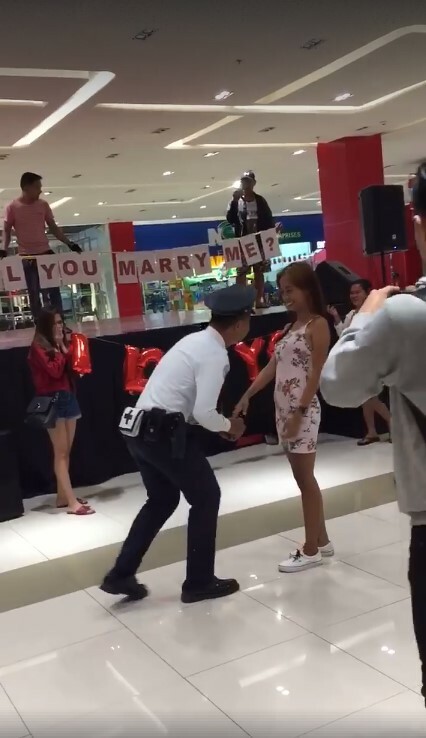 In the video, it can be seen that a lady was grabbing the hand of a security guard while they are approaching another lady waiting on the other side. Signs such as Will You Marry Me and I Love You were brought on the sides. 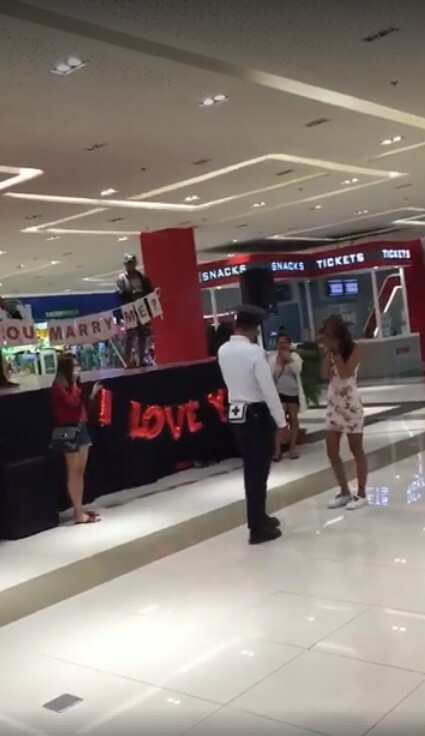 When the security guard approached the lady, the unique proposal happened. 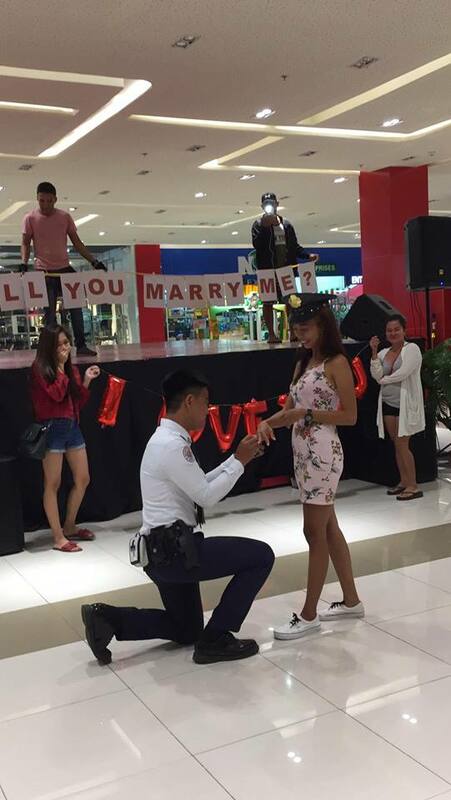 It was the girl who popped up the question on her knee. 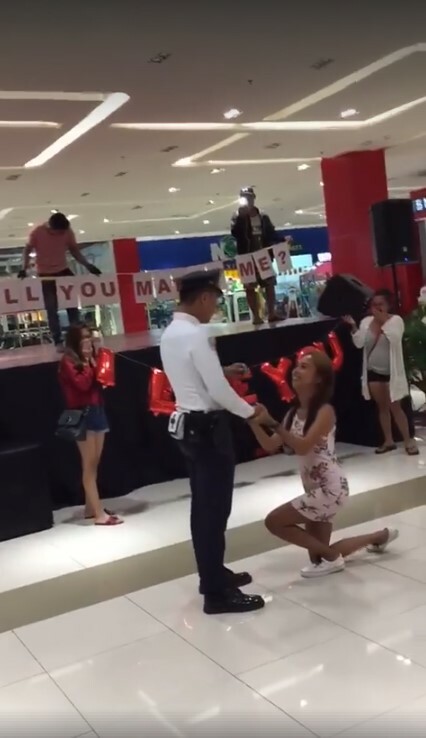 Then suddenly, the guard grabbed her hand and then kneel to ask her too. Everyone around them was cheering loud as they display genuine love.